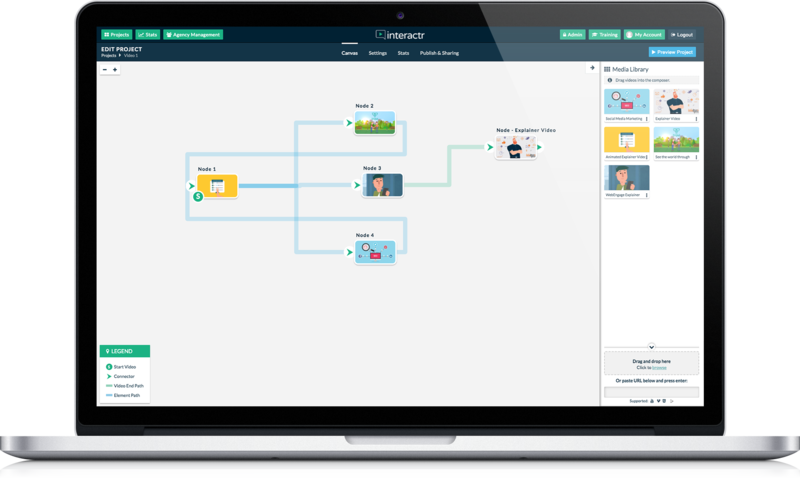 See how to maximize your profits with this series of “how-to” videos"
Interactr is a cloud-based solution that uses behavioural dynamic response marketing to deliver custom content to each & every video viewer. Interactr gets you more traffic, clicks, leads and sales … from EVERY video. Create Interactive videos that work on ALL BROWSERS and MOBILE DEVICES. Fully Compatible with YouTube, Vimeo and HTML5 Video served via our Superfast CDN network. 2X your conversions, 3X your engagement and get up to a 14X HIGHER click thru rate. Build your list with in video email capture and popups. Create custom interactive video experiences in 4 simple steps. Play the video below to see exactly how Interactr can increase your video engagement, click-thru rate and conversions. All included! Right inside the dash you’ll find detailed video training to get you up and running fast. Along with a DIRECT link to our dedicated support team. As an early bird member, you’ll get ongoing access to all future updates of the software.